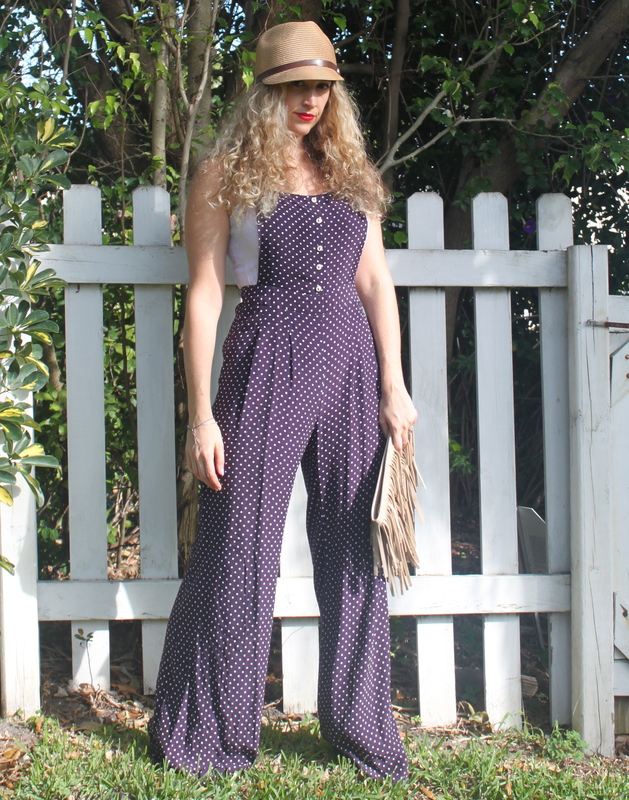 This is my favorite jumpsuit I own! I think it’s such a comfortable way for me to run around with my kids while still looking chic! 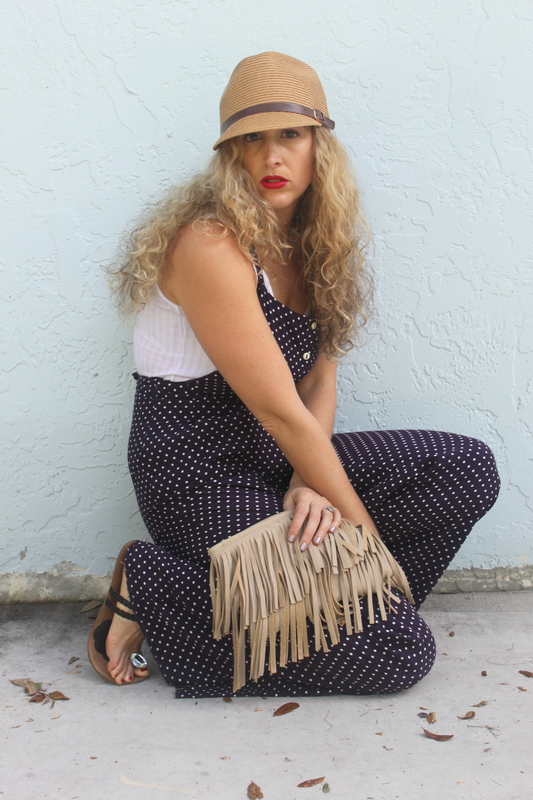 I added a hat, fringe clutch and some open flats to complete the look.